Would you like an email when more stock arrives? [vc_row type=”in_container” full_screen_row_position=”middle” scene_position=”center” text_color=”dark” text_align=”left” overlay_strength=”0.3″ shape_divider_position=”bottom”][vc_column column_padding=”no-extra-padding” column_padding_position=”all” background_color_opacity=”1″ background_hover_color_opacity=”1″ column_shadow=”none” column_border_radius=”none” width=”1/1″ tablet_text_alignment=”default” phone_text_alignment=”default” column_border_width=”none” column_border_style=”solid”][vc_column_text]Say hello to the Infinitely Adjustable CamLock Belt! Finally, a belt that always fits and never lets you down! Perfect for keeping your pants up. No more messing around with stupid holes in the wrong spot. Lightweight, ultra tough and adjustable in seconds for the perfect fit every time! 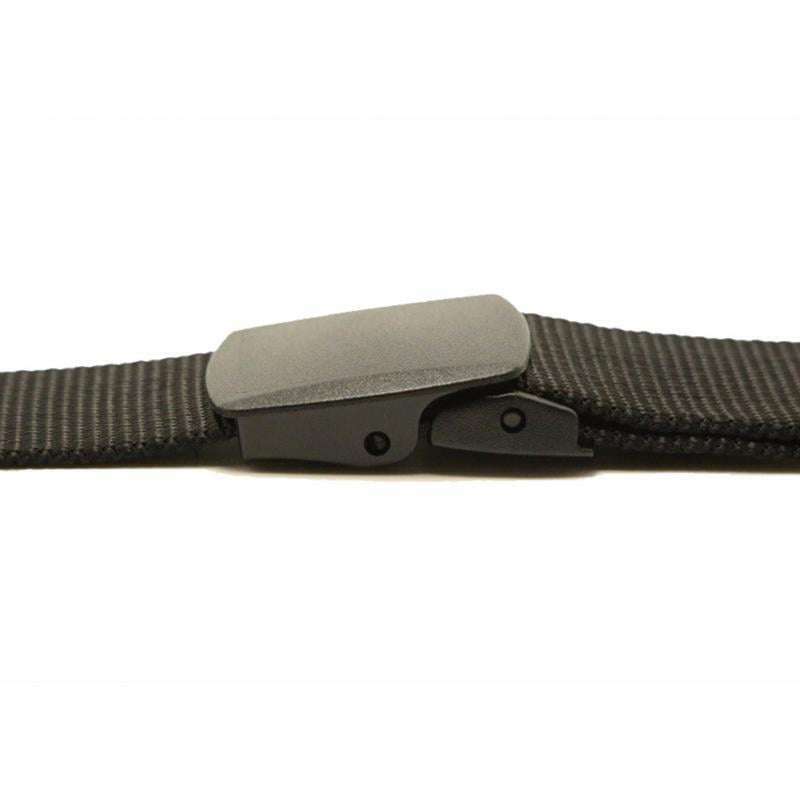 We are extremely proud to present a new member to the Nomad Essentials range of everyday gear that makes your life easier, The Infinitely Adjustable CamLock Belt! It seems like the simplest thing but finding a belt that actually ticks all your boxes in terms of mechanics, comfort and style is actually quite a challenge. 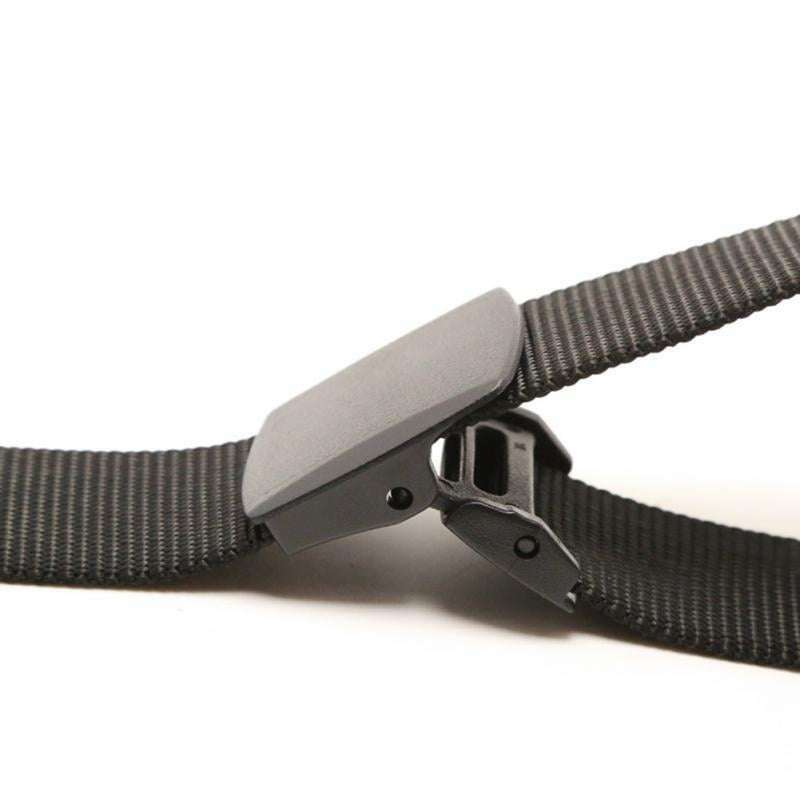 Simply pull the nose of the buckle away from you and slide the nylon strap to the exact mm location that works for your waist and pants, then push the buckle back down and you’re done. No more buckle holes in the wrong location or fiddly pins to get in the stupid hole! No more steel buckles with sharp bits that stick out and nothing to cramp your style when you sit down. 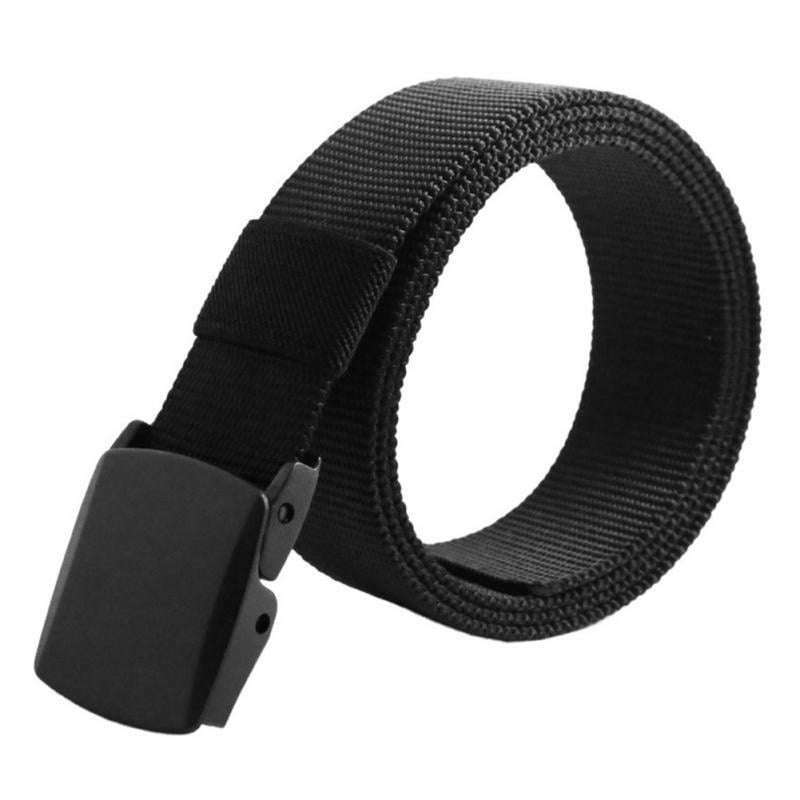 Just a perfectly rounded moulded plastic buckle with a soft nylon strap that you can forget about all day. Is it strong? = Very! Will it slip? = Never! The great thing about Camlock buckles is that the tighter you pull the strap the more they bite down on it. The only way they can come undone is by pulling the buckle in the opposite direction to the way the strap is pulling. Also, the texture of the woven Nylon Strap naturally wants to catch the teeth inside the buckle. So no more pants slowly creeping down over the day! Does it weigh much? = Nope! Weighing in at only 114 grams, it’s under half the weight of a conventional leather belt and as we all know, every gram adds up over a busy day. Can I use it for other things? = Yup! If you have a swag, or a bag or anything that needs to stay where you put it, just wrap it to the exact size you need and get on with your day. Will it help me at the Airport Security Check? = Yes! Every minute counts when you’re trying to catch a plane and nobody likes having their pants around their ankles in public! This belt has zero metal parts, nada, zip. Stroll through your next security check like the boss! Very easy to use and comfortable to wear. The perfect vegan belt. Regular Post: 3 to 5 days. Express Post: 1 to 2 days. Regular Post: 5 to 10 days. Express Post: 3 to 5 days. We ship all parcels using Australia Post. The prices come fresh daily from the AusPost Server so you get the most up to date domestic & International rates. Remember, If you happen live in a remote area it may take a little longer for the postman to find you, but he will find you. We are committed to minimizing our Carbon Footprint. To achieve that, all our products are shipped in Paper Parcel Packs where possible or Plastic Satchels only when necessary. We do not provide any extra wrapping, bow ties or trinkets of any form, so you will only have one minimal piece of packaging to recycle. Thanks for your support in creating a green planet for our children’s future. If you have any issues we want you to know we have your back. Just use the ‘Warranty Form’ and we will get you back on the road asap.